The banks family lived in london in a big house on Cherry Lane. Things are not great for the family, the children need a new nanny that they would actually listen to, and not scare away. The mother and father, Jane and Michael, have their own ideas of who the nanny should be. 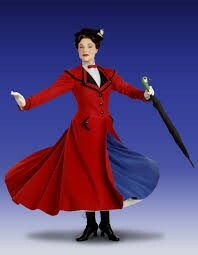 When one day out of the blue, a woman, Mary Poppins, appears. The family decides to hire her because she is the answer to their problems in the most particular way. Mary Poppins takes the children on the most memorable and amzing adventures. Altho she teaches the kids some the parents can learn a lesson or to as well. 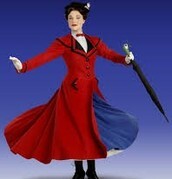 Mary Poppins always says "anything can happen if you let it." Total seats sold on march 3rd 2013 is 14031. In 2007 Gavin Lee won the Theatre World Award. This broadway musical did 2619 shows from 2006-2013. This musical had 106 votes. 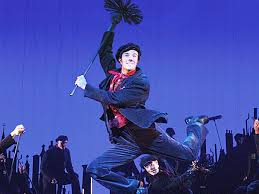 The Mary Poppins musical had a total of 17 numbers included in the show. Gaven Lee and Ashley Brown are the two main actors in this broadway musical. outstanding featured actor in a musical. outstanding set design of a musical. science design of a musical. 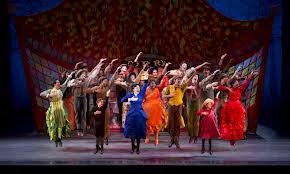 Bob Crowley, the set designer has won six tony awards for broadway shows he has done. The musical is a academy award winner. 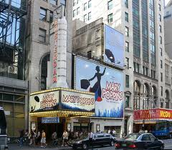 Mary Poppins will be followed by Aladin at Broadways new Amsterdam Theatre.